Held between January 6th and 9th, CES 2016 has gathered over 3,600 companies from 150 countries on a 1,5 million sq. feet space in Las Vegas. While there're already many event reports and highlights in the media, I've prepared a compilation of the most cutting-edge consumer electronics products presented there. Let's see what guests from the future have riveted most of public attention at the current CES. Tesla's competitor Faraday Future has announced a strategic partnership with the Chinese company LeTV for building the world's first modular smart car ever - FFZERO1. To make this e-car as comfortable as possible, Faraday Future's engineering team held numerous consultations with NASA which resulted in a single-person vehicle and projected helmet enabled for water and oxygen supplies. This is going to be a fully IoT-enabled car fitted with a myriad of sensors and gauges to trace down performance of every single car part in real time. Also, drivers will be able to insert their smartphone right into the steering wheel that will serve as a second screen. Bad news is you won't be able to buy this car any time soon. Good news is Faraday Future is continuing to explore the IoT capabilities to make this vehicle as revolutionary as possible in many regards. 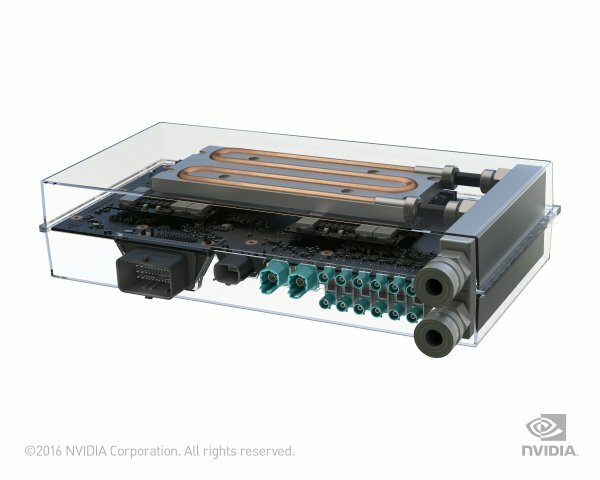 NVIDIA has presented their new supercomputer for unmanned vehicles with liquid cooling - Drive PX 2 that has capacity of 150 MacBook Pros and 8 teraflops of computing power. Yet, Drive PX 2 is as small as a school lunchbox. The supercomputer is able to track information received from 12 simultaneous surveillance cameras, the radar and ultrasound sensors. The vehicle is able to avoid accidents and identify traffic signs and objects even in a very bad weather. NVIDIA Drive PX 2 is based on proprietary deep learning platform called DIGITS. This driverless car will not only be self-learning, but will also be able to share data with other vehicles through the Cloud. Parrot has demonstrated their new DISCO drone prototype that's peculiar in being wing-shaped with the engine mounted in its tail part. DISCO can accelerate up to 50 miles per hour and levitate for 45 minutes. The drone is equipped with a wealth of sensors including accelerometer, gyroscope, magnetometer, barometer, speed and altitude sensors, and GPS. Developers promise it'll be very easy to pilot the drone due to its rich functionality such as preliminary itinerary, automated take-off and landing, and so on. The drone is fitted with a 14 megapixel camera and is enabled for piloting with an augmented reality (AR) helmet. Unfortunately, Parrot didn't make any announcements about the price and the official launch date of their gadget. Developers have been experimenting with flexible displays able to roll up for a while now and all major consumer electronics brands such as Samsung and Sony have already invested a lot into building such a rollable technology. Yet, their competitor LG seems to have demonstrated a new breakthrough display at CES. Their 18-inch flexible OLED display (enabled for bright colours and very low energy consumption) can roll up like a paper banner - something that couldn't be imagined even 5 years ago. While this new form factor is being future-proofed only, it's already promising to change the entire interactive media landscape forever. Rollable displays will challenge IoT application developers with new UI and UX design concepts which opens up exciting opportunities for digital design experimentation in the years to come. Although Oculus Rift has been in the media since 2012 and is pretty well known to technophiles, the first official release date and price announcements have just been made at this year's CES. So, according to the developers, they'll start shipping their pre-ordered cutting-edge virtual reality (VR) helmet in March 2016 and the cost will be $600 in the United States. The helmet will be delivered along with the motion tracking sensor, gamepad for Xbox One, Oculus Remote control and two default games - EVE: Valkyrie and Lucky's Tale. However, the branded Oculus Touch controllers will be shipped later, not known when exactly. All Oculus Kickstarter campaign supporters that donated $600 and more for the product development will get their VR helmet for absolutely free. Do you have an IoT project idea and need professional assistance with specification, prototyping and software development? This new flying device by the Chinese company EHANG looks indeed like greetings from far future! Having gained engineering experience with their Ghoustdrone, EHANG created a model to enable levitation for human beings. EHANG 184 can lift weight up to 440 lbs, reach a 1,640-feet altitude and stay in the air for up to 20 minutes while speeding up to 62 miles per hour. The drone has 8 engines with total capacity of 106 kW. The battery charge time is 2 to 4 hours. Developers promise a very easy piloting thanks to a special 12-inch tablet and full security. So, line up for a test drive! This year's CES is making clear indications that the digital world has changed forever and will never be the same again. The IoT technologies blended with Big Data and new form factors are now converting literally anything, be this automobile, wristwatch, drone or fridge, into a personal computer, and mobile technologies allow for instant machine-to-human-to-machine communications. As a software development company heavily focused on building technology innovation, Intersog is looking forward to helping consumer electronics brands breathe life into various revolutionary devices through highly secure and efficient software applications. Meanwhile, please take a look at some of the solutions we've already built for the IoT and wearable tech and feel free to contact us to learn more about our IoT application development expertise.